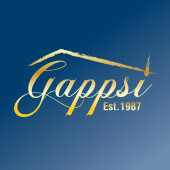 Gappsi, Inc. is an all inclusive home improvement company that services clients in the Nassau and Suffolk County, Long Island, NY. We are located in Smithtown, NY. We specialize in home remodeling, landscaping, masonry work, pool and spa installation, and more! Our talented and well experienced personnel will help you make the right decisions by providing you with professional suggestions, functional designs ideas, and high quality finished products. Contact us today for more information!